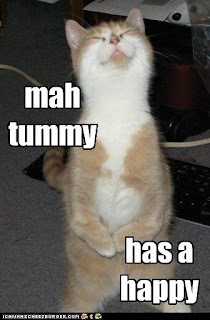 Breakfasts that are homemade-yummy but don't require any actual cooking effort get a huge thumbs-up from me. Here's what I made this morning. 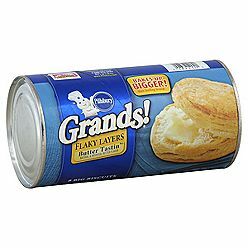 Get a package of Grands biscuits - the big mothers. Bake 'em up. Split one in half, slather some butter inside, sprinkle liberally with cinnamon sugar. If only everything in life were this easy and produced such satisfying results.